Mirius are proud to announce we have won two awards at the recent London Excel Cleaning Show 2019. 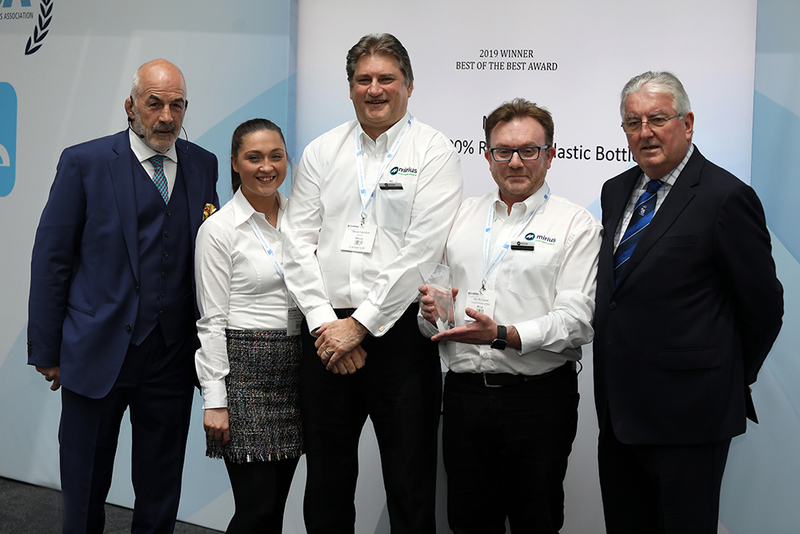 Winning the Cleaning Products Innovation Award for the 100% recycled bottle, the bottle then went on to be crowned overall winner at the coveted CSSA London Cleaning Show Awards – BEST OF THE BEST, one of the highest accolades within the cleaning industry. The new bottle will be available shortly for customers of own label cleaning products and also across Mirius’s own ‘off-the-shelf’ professional cleaning range – Super Professional. In addition to the new 100% recycled trigger bottles, Mirius are also able to offer 750ml angle neck bottles and 5 Litre jerry cans with 25% recycled material – all of which are 100% recyclable.